Animal print upholstery is perfect for adding a touch of personality to your home décor. 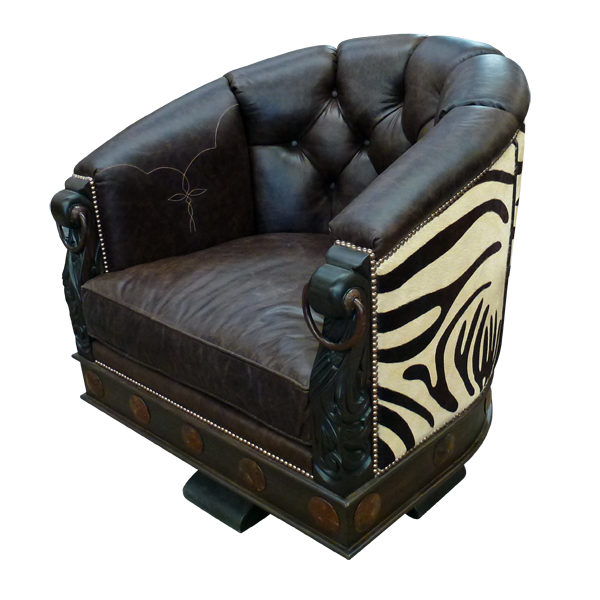 This handcrafted chair combines exotic, zebra patterned, real cowhide with full grain leather upholstery to create a unique and beautiful design. 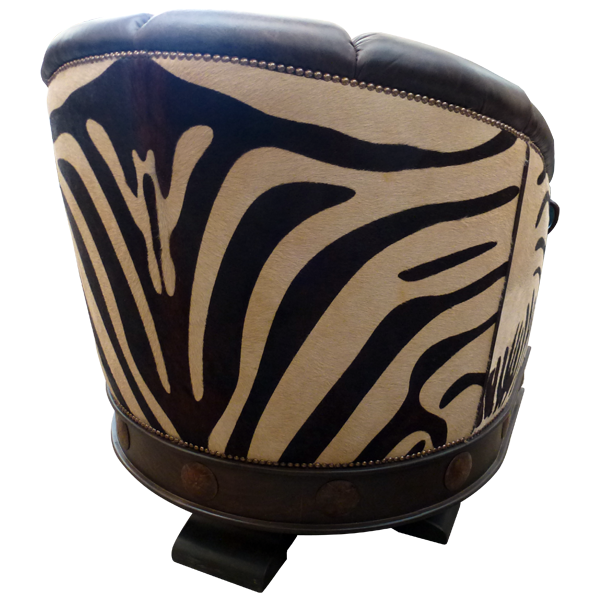 The reverse seat back and the sides of the chair are upholstered in zebra patterned, real cowhide. The seat cushion, the inside seat back, and the armrest of the chair are upholstered in dark, brown full grain leather. The center of the inside seat back has a beautiful button tuft design. The upholstery is precision hand tacked to the entire wood frame by our skilled craftsmen. Also, all of our upholstery is double stitched for extra strength and durability. The armrest are hand carved with a scroll design and decorated with a hand forged iron ring. The armrest are accompanied with solid wood, vertical, hand carved scroll and floral designed uprights. 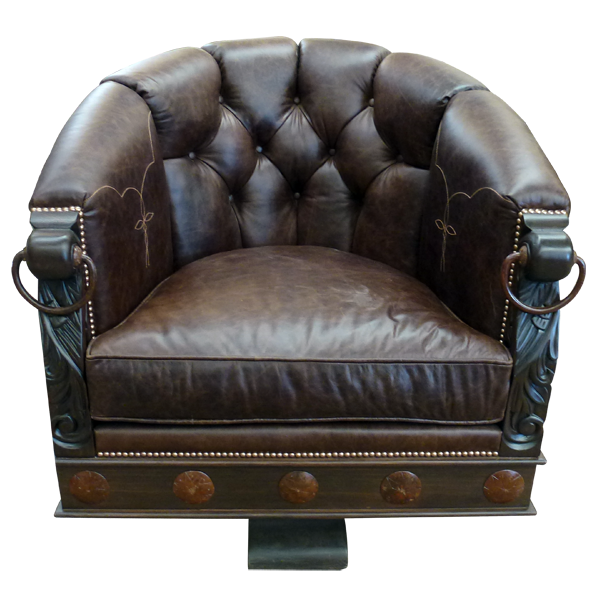 The beautifully finished lower wood base is decorated with hand forged iron conchos. This chair is also extremely comfortable due to its horseshoe shape and extra padded cushion and body. The entire chair rest on a durable quadripartite revolving support. It is guaranteed for life and is 100% customizable.